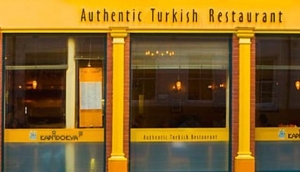 York is located approximatley 40 miles from the Coast but it is still possible to enjoy fabulous fish and seafood dishes in some of the cities best restaurants. Loch Fyne is a well known chain of seafood restaurants and it has a lovely restaurant in a great location in Walmgate. The Blue Bicycle and the Limehouse are both top quality restaurants that have seafood included on their extensive menus. The Waterfront is located near the River Ouse and has a very good selection of fresh seafood and steak.